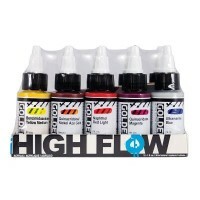 High Flow are the latest innovation from Golden Artists Acrylic Colours. 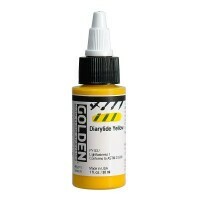 These acrylics can be used for all kinds of applications; use them with a brush, markers, dip pens, airbrushes and more! Great for anything from the finest brushwork to the boldest strokes, these ink-like paints lend themselves brilliantly to a wide variety of techniques. 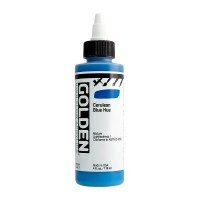 Try them out for staining, leveling, calligraphy and mixed media.